reaping the benefits of an insulated nesting box. the sub-zero temperatures over the past week have provided a good test about whether or not it was worth the effort to insulate the nesting box in an attempt to prevent frozen eggs. The Conventional Wisdom folks said the insulation wouldn’t make a difference and unless we were able to collect the eggs throughout the day ( not a possibility ), we’d probably end up with a 25% of the eggs frozen by the time we got to them. 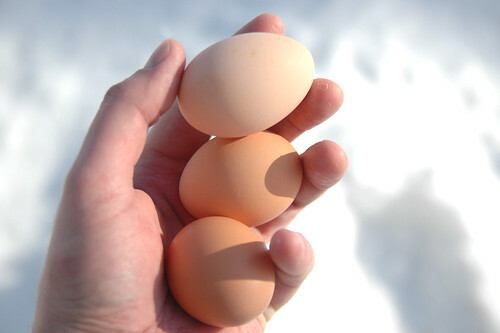 we haven’t had a single frozen egg so far this winter. Previous Postpreparing breakfast for The Girls.Next Posthow i learned to stop fearing and start loving stripped screws.